When my calendar flipped over to November I had to do a double take. I’m not sure where the year has gone or how we’re only a matter of weeks away from Christmas, but 2017 is nearly drawing to a close. Although our summer never really got started and we were limited to only a handful of days here and there, I still went a bit overboard with summer fashions and ended up buying up many dresses that were still lingering in my wardrobe with their tags still attached by the time it was officially boot weather. 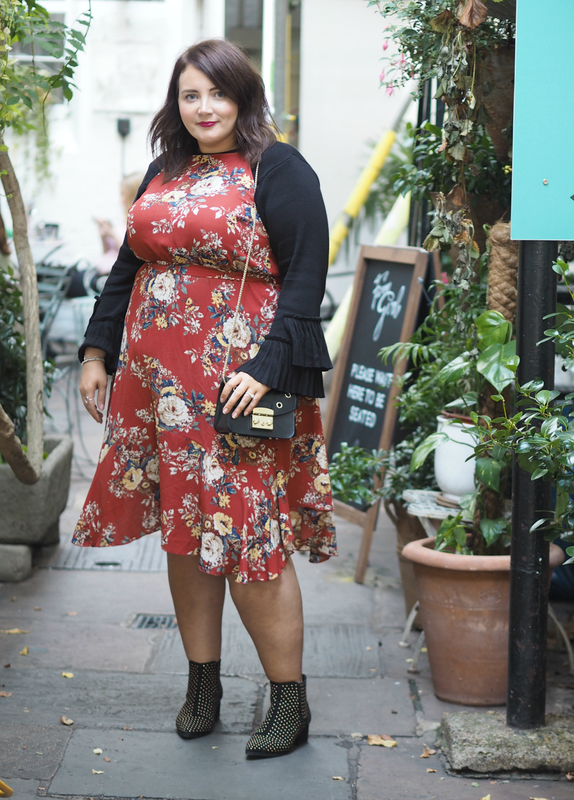 A couple weeks in Bali (thank goodness for honeymoons) gave me a last chance to get out those unworn outfits, but it still fills me with resentment to know so many gorge outfits never saw the light of day thanks to our unpredictable British weather. 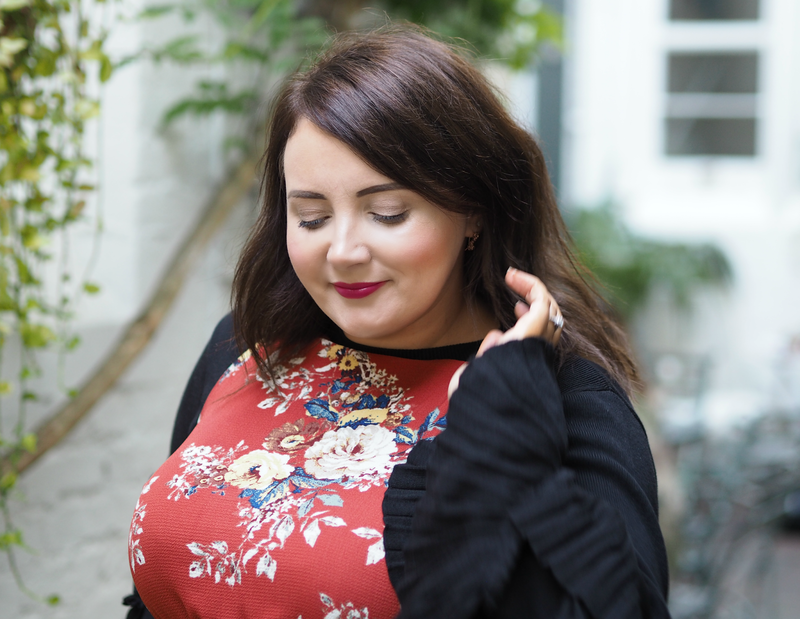 Since the start of September I’ve been challenging myself to get the most out of my unworn summer wardrobe and push the boundaries of autumnal fashion; I very much have seasonal wardrobes, so for me to mix and match is not the norm or something I’d usually consider. But needs must! If you’re interested in making the most of those unworn pieces, or simply want to change up your style this season, I’ve pulled together some tips and tricks that will work no matter your age, style or budget. Although some of the shades we love in the spring and summer won’t necessarily work during the colder months, the majority absolutely will. Blues, oranges, reds, yellows and anything floral will look just as good with a pair of boots as it will flip flops, while even pastel shades are having an autumnal moment. (Don’t bother buying new baby pink, blue or yellow pieces when you can probably find some in your spring wardrobe!) Have a look through your favourite pieces and pick out the items that will definitely look great with a biker jacket or a fur stole, and won’t look strange when paired with a darker shade or stronger shape. If you’re not sure, just have a mammoth trying on session and I promise you’ll be surprised as to what you can make work. 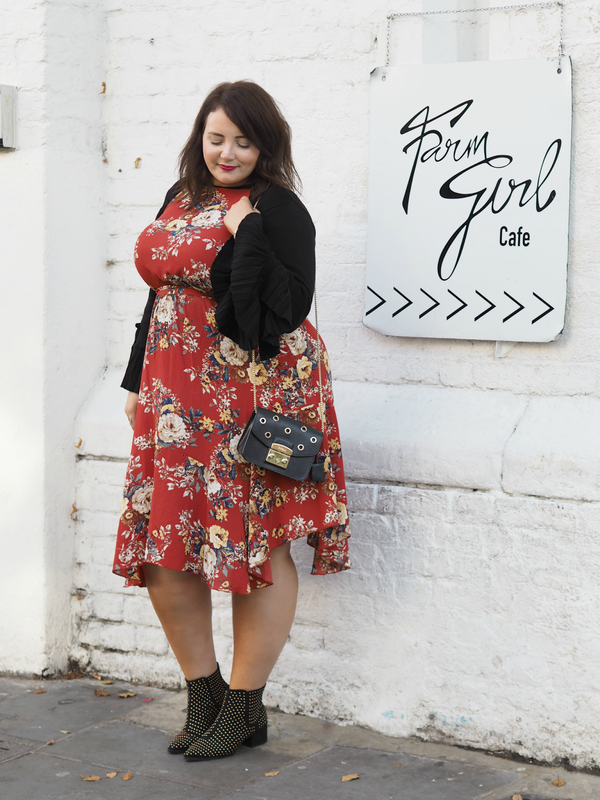 The easiest and simplest way to get more wear out of your favourite summer dresses is to simply pop a jumper underneath and swap your sandals for boots. It will instantly feel more seasonal and keep you warm too, while giving you far more options when rummaging through your cupboards. 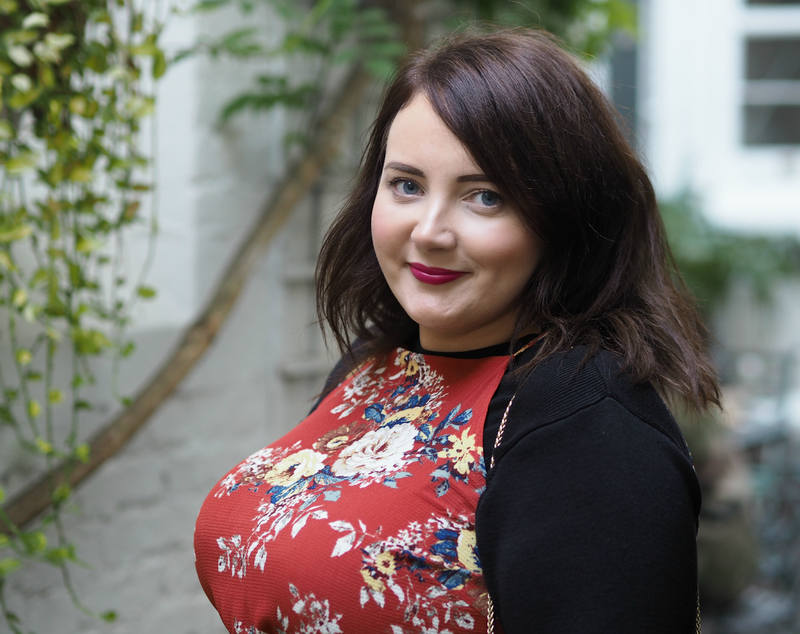 The jumper doesn’t even have to be dark – some of my fave transitional pieces are beige, pale pink and a dove grey, which look fabulous under lighter fabrics and matched with summery skirts. Don’t be afraid of lighter boots in camel, rose gold or grey either; sometimes black chunky shoes can be too much, so experiment with textures and colours a little. 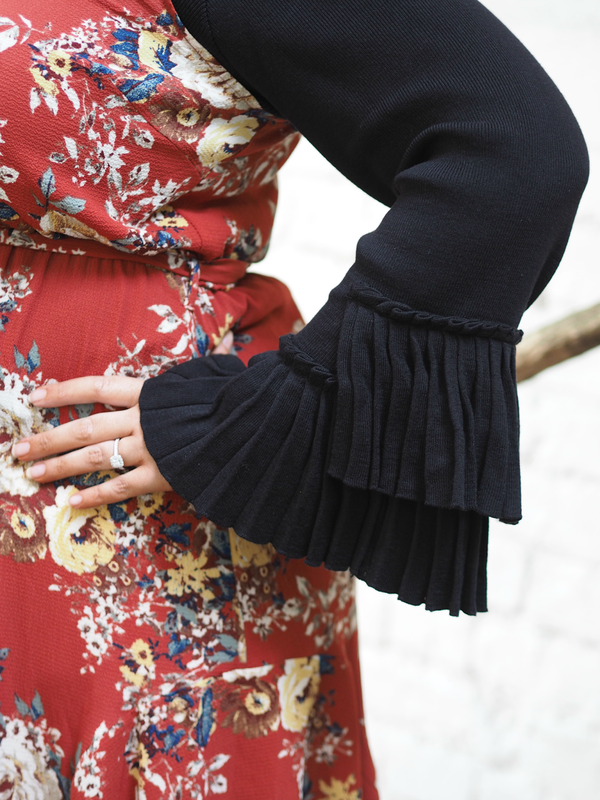 For an instant update, opt for a jumper with statement sleeves too – one of the biggest trends of the season – like this one from River Island. floral or feminine the clothes beneath. For some reason a great biker goes with everything and will instantly help to make even the most summery of outfits seem edgy and appropriate for the season, so if you haven’t got a great one make it the number one investment you make this winter. 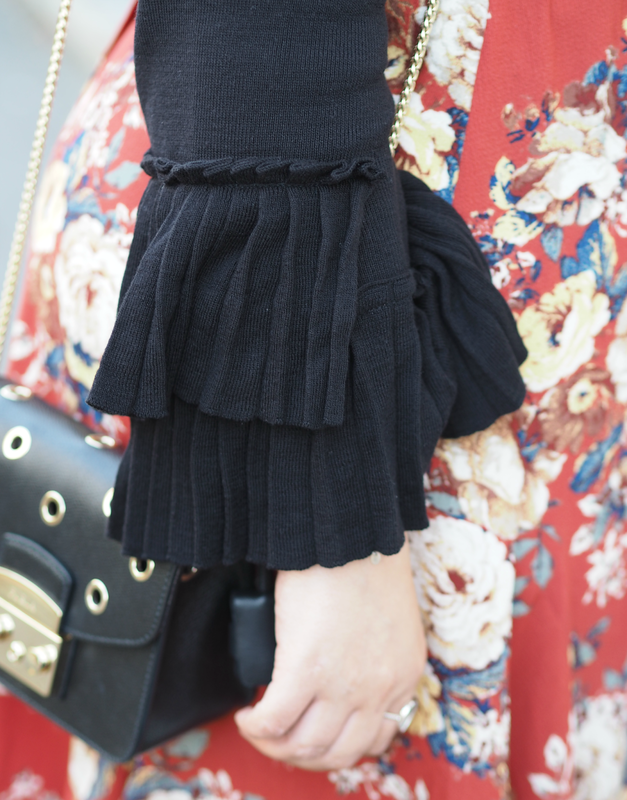 A great accessory can totally change an outfit. 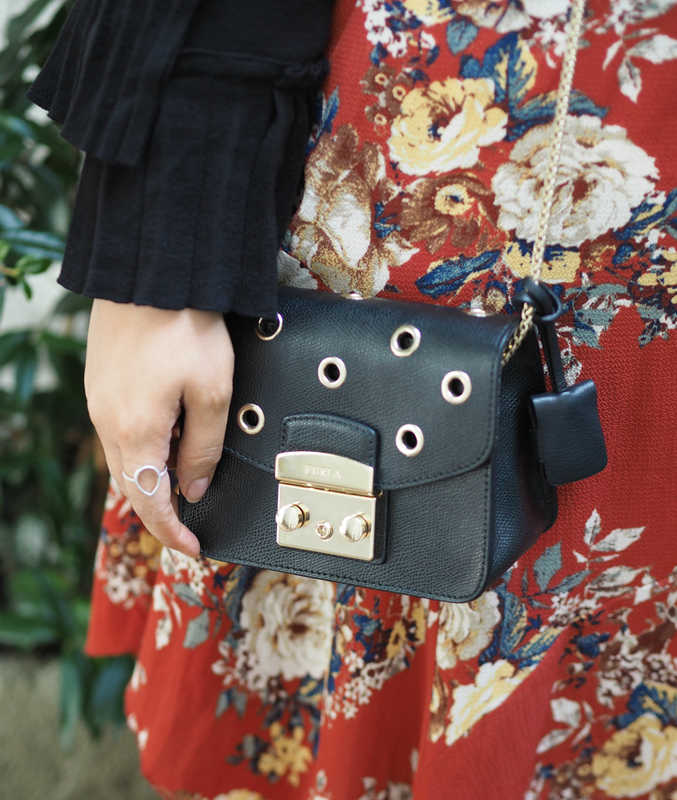 Whether it’s a subtle pair of earrings like these gorge rose gold ones from Olivia Burton, a fabulous bag (currently falling back in love with this black Furla number) or a fur stole, they can really change the overall way an outfit pulls together. Investing in a few key pieces (hats, scarves, bags and jewellery) will help to lift your look and keep it feeling cosy rather than feeling like you’re clinging on to summer. 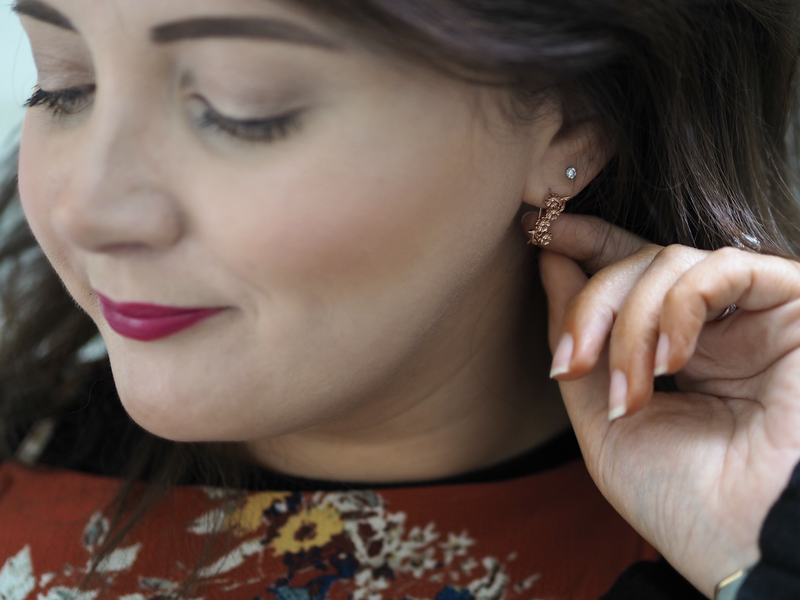 If you don’t want to spend a lot then it’s well worth getting yourself down to Primark; their accessories are super cheap and always on-trend, so you can afford to experiment even if you decide a few hours later it’s not for you. 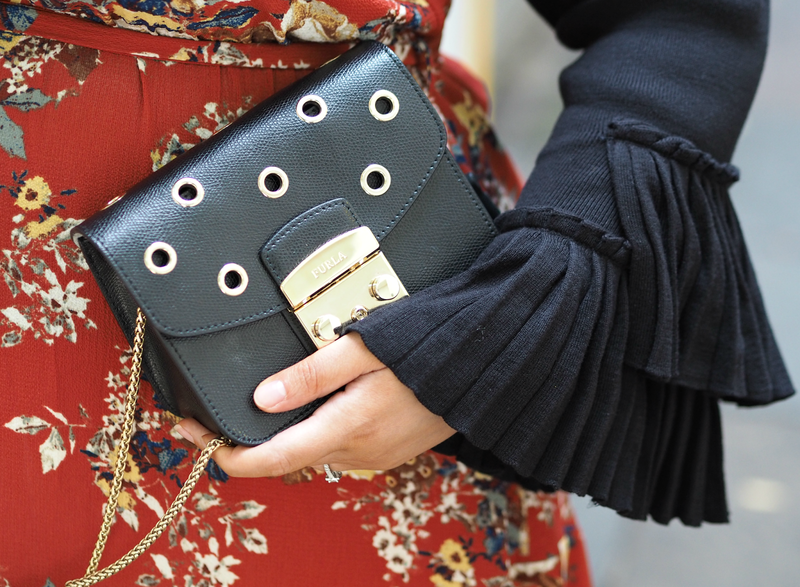 Do you make a concious effort to re-use your summer outfits during the colder months? 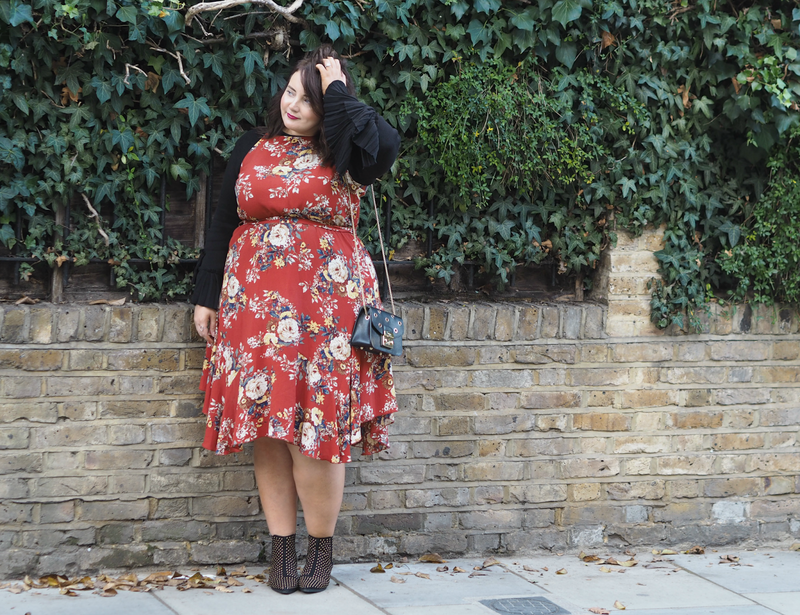 Do you have any other tips as to how to pull off the perfect autumnal look? 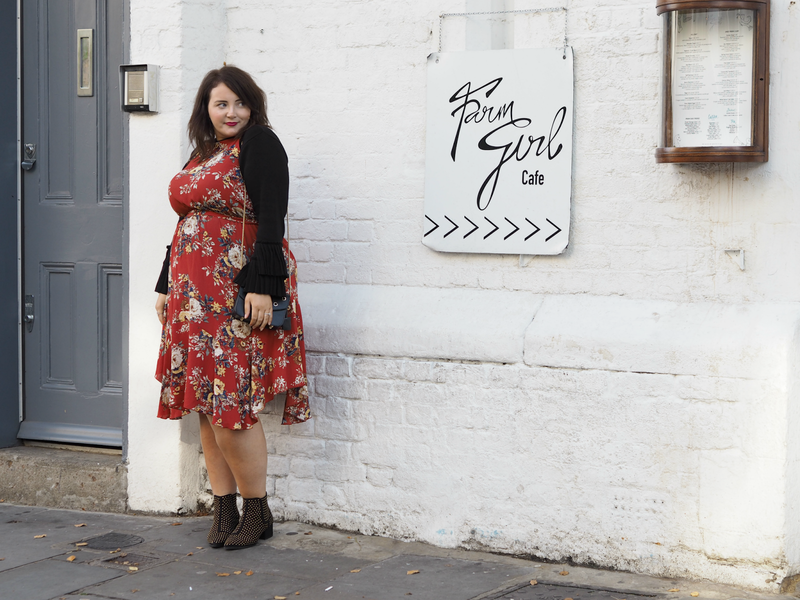 I get so bored of wearing jeans and jumpers, so long sleeved dresses/maxis with jumpers and skirts are my saviour – they provide a great alternative! Thank you! And if you love Furla you need to get to Bicester – they have a shop there and you can get silly discounts.